Mythic Oil Line created by L’Oreal is a gamut of prestigious and unique products, which are mainly based on natural oils. In this line you can find few hair oils, which are to be considered conditioner for damp hair or a serum for dry hair, but also shampoos and balms enriched with extracts from natural oils. 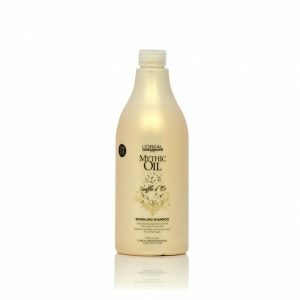 Worth the recommendation product that you should definitely try is shampoo Mythic Oil for every hair type, enriched with safflower oil. This product was released in a big bottle, which should last for many months (750 ml/25.4 oz.). It can be easily used by hair salons. The smaller “traditional” version of the Mythic Oil shampoo with safflower oil has 250 ml/8.5 oz. volume. 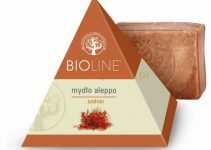 This shampoo is delicate cosmetic with lightweight formula. Its main job is to highlight particular strands and to thoroughly, but gently clean scalp and remove excess sebum and pollution. For this reason shampoo with safflower oil is perfect for washing down the oil after hair oil treatment. What is more – the shampoo contains golden, shimmering particles, which immediately improve appearance of hair and provide them with delicate yet stunning gloss. 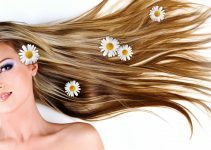 The shampoo consists of safflower oil, that helps regenerate scalp, protect it against all damages, regulates processes in the surface of the skin. Safflower oil is absorbed to the inner hair structures and protects them by additionally strengthening hair bulbs. Thanks to the complex protection and provided regeneration, hair are restored with strength, gloss and elasticity. Safflower oil will nourish even the most damaged, high porosity hair and prevent water loss. Properties of the safflower oil was enhanced by argan oil, that protects hair against high temperatures. Drying even with hot air stream from hair dryer and burning sun are no longer a threat to your hair. 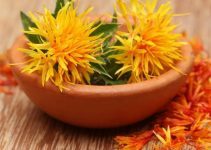 It is also worth mentioning that safflower oil has higher vitamin E concentration, which is responsible for young appearance of hair. Mythic Oil from L’Oreal is free of patrabens and is dedicated for all hair types. Properties of shampoo with safflower oil can be enhanced by using other products from Mythic Oil Line.